Gore Verbinski is known for making films like ‘Pirates of the Caribbean’ franchise, 2002’s ‘The Ring’, and the Academy Award-winning animated film, ‘Rango’. Coming from such a filmmaker, the expectations were actually pretty high for ‘A Cure for Wellness’. 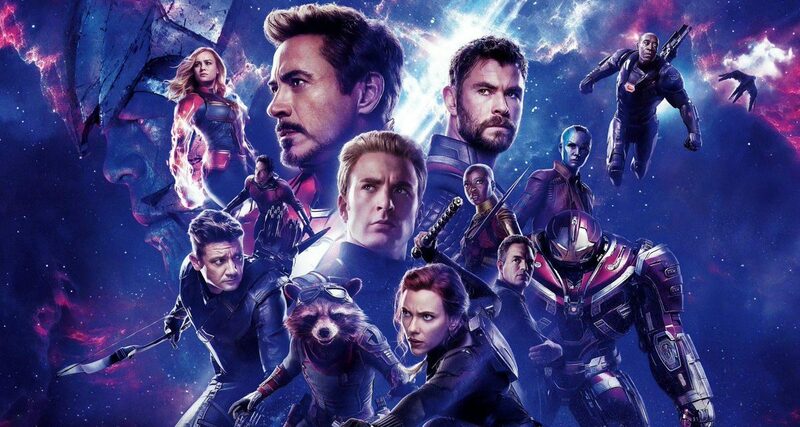 With a hauntingly beautiful score from Benjamin Wallfisch (Hans Zimmer’s promising protégé), Verbinski picked up some notes from his previous horror project, and along with the inspiration from some other classics, whipped up a psychological thriller that tackled so many themes at once that the audience needed a glass of water in every half-hour. ‘A Cure for Wellness’ is, by no means, a perfect film. Its idea might be as grand as the castle that becomes the site of its narrative, but its plot doesn’t flow with the same fluidity as the water that acts as its central theme. In such a case, it is obvious that the audience is divided in their opinion about it. For those, who those who liked it and need some answers, we’ll try to wash away all your doubts. Before we begin with the answers, let’s ponder over the question, one more time. The film follows the story of a young man named Lockhart. He has recently received a promotion for some exceptional work and is summoned by the board for some discussions. It turns out that he had closed some accounts by the means that weren’t necessarily legal. The board gives him a choice- the prison or a project. He has to go to a “wellness centre” in the Swiss Alps and bring back a member of the board who has refused to return from there. It is pretty important for the company to get his approval before they can move on with some things. Lockhart is confident that twenty minutes should be the approximate time for him to talk to the man and convince him to come back with him to New York. However, he soon realises that the place is not at all what it appears to be. Something just seems off about the whole thing, the staff, the residents, and a mysterious girl. Lockhart meets with an accident on the way and finds himself a patient in the hospital. 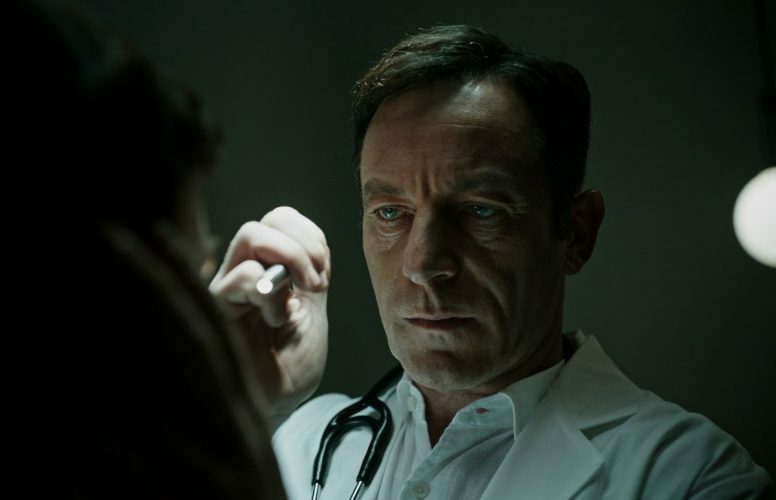 But his troubles begin when the doctor diagnoses him with something that isn’t even there. Even if you don’t like this film, you can’t argue with the fact that, at times, it is breathtakingly beautiful. 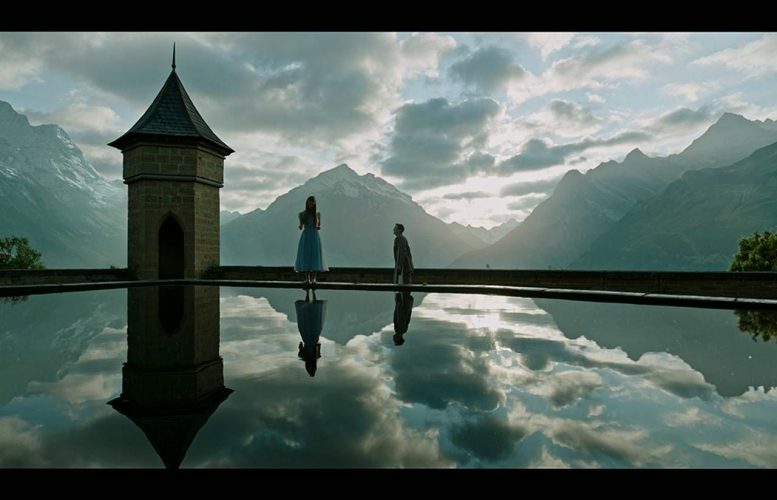 With the setting of the Alps behind it, some great shots have been used to bring out the beauty of the castle. Truly, “why would someone want to leave it?” This leads us to lesson number one: just because a place is beautiful, doesn’t mean it’s not dangerous. Especially if you know that it has some bad history, and clearly, still manages a bad repertoire in town. As soon as Lockhart enters the village, he witnesses the hatred towards the rich people who go up to the mountain. He inquires about it from his driver and receives an interesting story. Centuries ago, the castle was owned by a family called Von Reichmerl. The last baron lived about 200 years ago and became the reason for the end of his family. He was obsessed with keeping his bloodline pure and came to the conclusion that there was no one other than his sister who could bear his child. So, he did what any incestuous person does- forced himself on his sister, which he claims that “she came to like”, and despite the refusal of the Church to back his marriage with his sister, and went on to do so. But things didn’t go so well on his wedding night. The villagers marched to the castle, killed his sister, and burned the whole place to the ground. 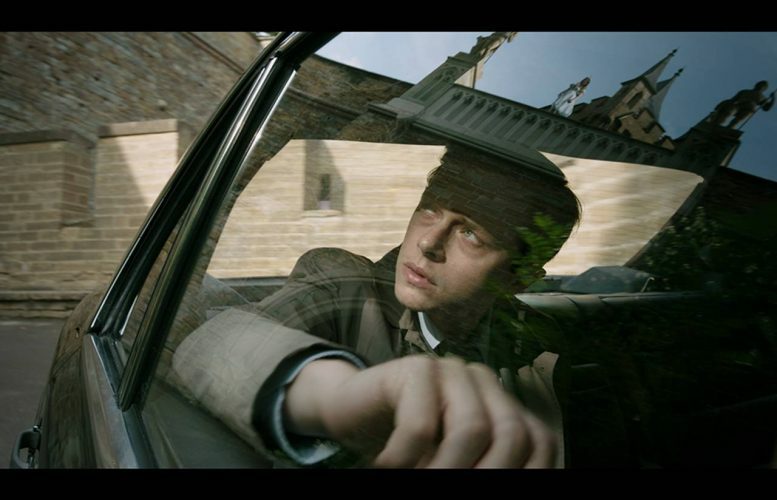 By the end of the film, we realise that there are a lot of other details of this story that the driver wasn’t aware of. The Baron’s sexual appetite was not the only reason for the villagers to destroy him and his whole castle. What happened was that the Baron wanted an heir out of his sister. Before there was an actual wedding, the Baron had already slept with his sister and she had even become pregnant, a couple of times. However, she couldn’t keep the baby and suffered multiple miscarriages. The Baron was outraged by this and decided to find a solution to her problem. Being a man of science(! ), he came up with a formula that would provide longevity, not only to the foetus but also to himself and his sister. To turn the formula into reality, he kidnapped villagers and then experimented on them. However, he made the mistake of not disposing of their bodies properly. When these bodies were found by other villagers, they were appalled by the Baron’s actions. So, they decided to end his story for good. The wellness centre has become so popular amongst the elderlies because it seems to provide them with an answer to their problems. Now, what problem might that be? By the time the film ends, we become pretty sure that there is actually no problem with the patients. They are being tricked into believing that they have a problem, and then they are being used to produce the miracle potion for the doctor and his staff. Through this aspect of the story, the director offers us one of the prominent themes of the film. As is mentioned, all the patients in the centre are people who come from a rich background. They are people who have “done extraordinary things, built vast fortunes, commanded great empires”. The terrible cost they had to pay for it was that they alienated themselves and now there is no one to care for them. These people are alone, and it is exactly what makes them easy prey. You can feed them whatever story you want about how there is a sickness in them that didn’t allow them to form any true emotional connections. They are told that their ambition blinded them, and to truly cure themselves of it, they must go through the rigorous process of purification that only the wellness centre can provide. Basically, add a pinch of spirituality to some rather common truths about the vices of human nature and you’ll have people lining up on your doorstep to do whatever you want to them, as long as they have the promise of being rid of these corruptions. The Baron already had a vantage point in the form of the beautiful location. He added some simple activities to it, like flying kites, playing badminton, and solving puzzles, so that on the outside everything would appear great. Then there was water everywhere. For swimming, for exercising, the steam baths, and all other things. Also, people were told to drink lots of water. Also, a story has been spread that there is therapeutic power in the water that comes from the aquifer, and it is this water that heals them. But there are small organisms in it, which, as we later discover, are eels (or something like that). Through the liquid, these things are constantly entering the bodies of the patients and then doing whatever they do in there. Then procedures are scheduled in which the distilled form of the cure flows out of their bodies and is collected in blue bottles. Since the patients have become a sort of refining machines, it is natural that they go through ‘wear and tear’ and then ultimately become useless. Because these people are only drinking the toxic water which is then being purified out of them, they are dehydrated due to the lack of real water. This is why their teeth are falling off and they are becoming weaker by the day. How they are not realising this could be due to the fact that the doctor is using some sort of medication to keep them calm and happy. Or the delusions could just be an effect of dehydration. If we had to put Lockhart in a Hogwarts House, it would definitely be Slytherin. He is cunning, ambitious, driven and arrogant. It’s no surprise that he wound up in a place that often felt like a stretched version of the Slytherin common room. 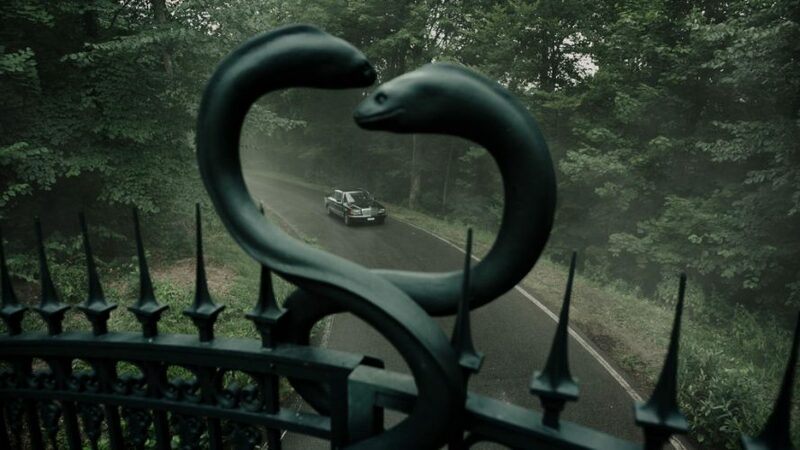 The snakes were on the gates of the castle, and the showrunner was Lucius Malfoy, for god’s sake! Despite all these warning signs, Lockhart didn’t prove himself to be a character worth rooting for. In one scene, Volmer says that he hasn’t seen a case as bad as his in such a young person. At first, it would seem like Volmer is giving excuses for turning Lockhart into one of the patients. But really consider his statement, and compare it with the description he gave of other patients. Volmer could, indeed, be talking about the blind greed and ambition that he has witnessed in other patients, something that got them to the top of the world. Also, the other patients have no one who cares about them, and we could say the same thing for Lockhart. His father had committed suicide while Lockhart was still a boy, and rather than understanding the circumstances that drove him to such a situation, he has convinced himself that his father was a weak man, and because he is stronger, he can do better in the world. His mother is the first one to tell him that he “is not well”, and that he won’t be coming back from wherever he was going to. Even when he realises the danger of the place, his arrogance makes him think that it is the girl who needs saving, not him. His actions are driven by his curiosity to uncover the true nature of the place and to save the damsel in distress. From the first time we see her, we begin to question the purpose of Hannah’s character. In this place full of old people, who is this young girl traipsing around? What makes her a special case? And why does the creepy doctor have a picture of her by his desk? Turns out, Hannah is Volmer’s daughter. 200 years ago, when Volmer was conducting experiments, he succeeded in making the cure. He and his pregnant sister started taking it. Then, on the wedding day, the villagers cut the foetus out of his sister’s body, threw it into the water and burned her alive. How could the foetus have survived? Considering that the mother had been taking the potion, it must have passed on to the baby. So, even when it was cut out, it still had ingested the potion, and the potion did its job. It didn’t allow the baby to die. Since she didn’t get enough time in her mother’s womb and didn’t have a typical birth, her growth was stunted. The effect of the potion had saved her life, but it couldn’t help her grow faster. That’s why she was a special case. Volmer’s plan was to wait for her to “become a woman”, and then to do the same thing that he did with his sister. The coming of Lockhart acted as a huge change for Hannah. She had been living with the old people for so long, and she had never gone out of the castle. So, Lockhart was a breath of fresh air for her. Because he was young and showed enough interest in her, and even took her out of the castle, into the village, she must have developed some attraction for him. Perhaps, this kickstarted her “womanhood” and Volmer finally had what he had been waiting so long for. There was a scene where Hannah walks into the pool, starts bleeding, and then suddenly the eels come out of nowhere. In other cases, they would have devoured their prey. But, in Hannah’s case, they just circled around her. This was, maybe, because she was a product of something that had come out of the eels. Perhaps, the eels recognised that she was one of them and so they didn’t harm her. As I said earlier, there are so many themes that this film tries to tackle at once. Instead of stating them out directly, it uses symbols and allegories to draw attention towards them. 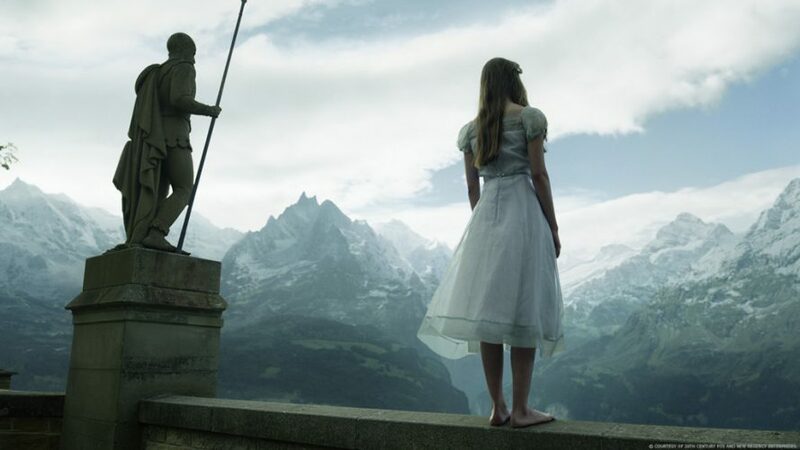 The most prominent theme of ‘A Cure for Wellness’ was purity. The whole charade starts because some baron wanted to keep his bloodline “pure”! The wellness centre means to purify its patients of all the corruption that has been inside of them for so long. To amplify this, water becomes a key factor in the film. The first scene starts with water. Bill Morris dies of a heart attack while trying to drink water. As he lies dead, water keeps spilling over his head. When Lockhart enters his new office, the first thing he sees is a dead goldfish floating in the water. The patients are told to keep drinking water, and as mentioned before, there is water everywhere in the centre. However, like its patients, the place still feels dehydrated. And did you notice the presence of water in all the important scenes? Even when Lockhart’s father commits suicide, it is raining. Also, he jumps into a river. When water seems the root of all problems, it also becomes obvious that fire should be used to end it all with. The whole place burns to the ground again, and this again reinforces the symbolisation of fire as the means for purification. Another theme that seems to be resurfacing throughout the film is mirror imaging (which is actually another property of water). The first time that Lockhart tries to leave the place, a deer comes in front of his car and a horrible accident takes place. The animal gets hit by the car and falls over the windshield. In the last scene, when Lockhart is fleeing on the bicycle, he too hits the car and falls over its windshield. The name of “Hannah” is a palindrome. The first time they leave the place, Hannah rides the bicycle while Lockhart takes the backseat. In their next attempt, they switch places. Apart from these, there are a couple of other scenes that actually provide the mirror images to you. 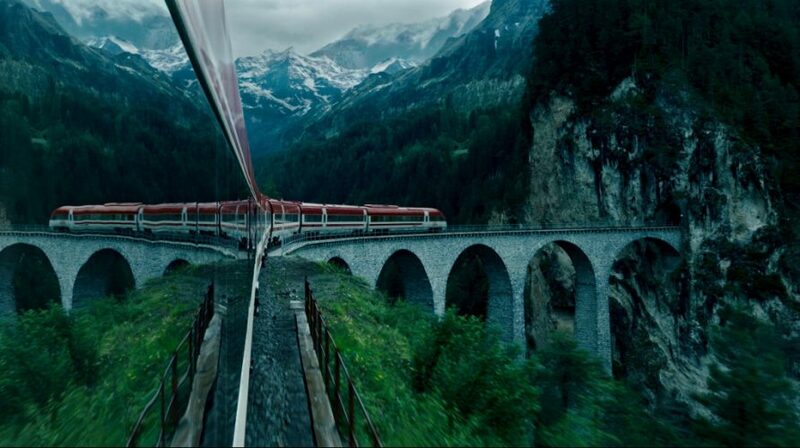 For example, the first shot of the train entering the tunnel, you can see the reflection on its polished surface. The first time Lockhart meets Hannah, they are beside a pool, and the scenery behind them is reflected on the surface of the water. All that happens in this film might have reminded you of some other story that you have witnessed quite often on the screens. A Count (baron) lives in a secluded castle with his wife, who dies. The Count then finds a way to keep himself alive for a very long time, until another woman comes along who looks exactly like his wife. But this new woman takes the fancy of some other, younger man. The Count tries to kill the man so that he can marry the woman. But on the wedding night, the man comes back, kills the Count and runs away with the bride. This synopsis could easily belong to ‘A Cure for Wellness’, as well as, Bram Stoker’s ‘Dracula’. Volmer could be Dracula, whose elixir of immortality comes from other humans. While Dracula feeds on their blood, Volmer feeds on a liquid that is refined out from the bodies of other humans. Hannah could be Mina and Lockhart could easily be Jonathan Harker! A Van Helsing and others are missing, but I think this film came close enough. 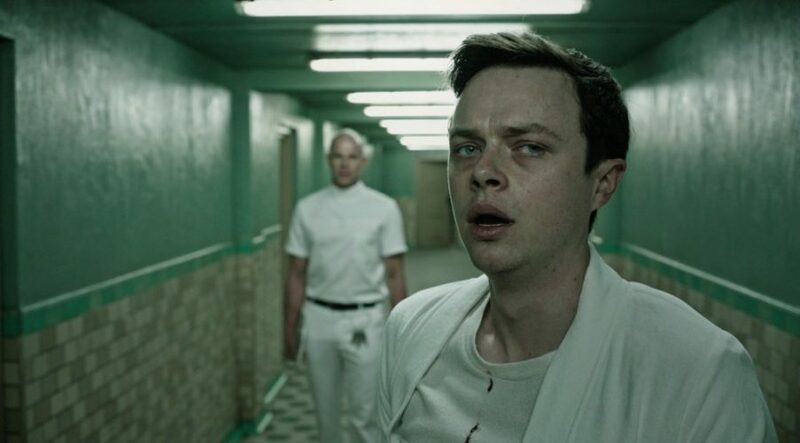 Just like any normal film, ‘A Cure for Wellness’ found its proper end. The villain was vanquished, the princess was rescued and the hero emerged victoriously. But what was with that creepy smile in the end? This smile, which had actually appeared twenty minutes earlier in the film, begged another question: hadn’t he lost his teeth? How did they come back? The answer for the teeth is simple: they are fake. Due to dehydration, the patients had begun to lose teeth. For any newcomer, people sitting around without any teeth and looking ghoulish would have been a total deterrent. So, the doctor must have implanted them with a new set, the one that wouldn’t fall off. A proof of this speculation is that in Pembroke’s dental records, Lockhart sees that he has lost teeth. However, when he meets Pembroke, all his teeth are intact. So, what happened with Pembroke happened to Lockhart. Now, about the smile. There are a couple of ways in which it can be interpreted. One of the recurring things in the film was the ballerina figure that Lockhart’s mother makes before she dies. She tells him that the ballerina is sleeping, and she is dancing in her dream, but she doesn’t know that it’s a dream. So, is that what it was? 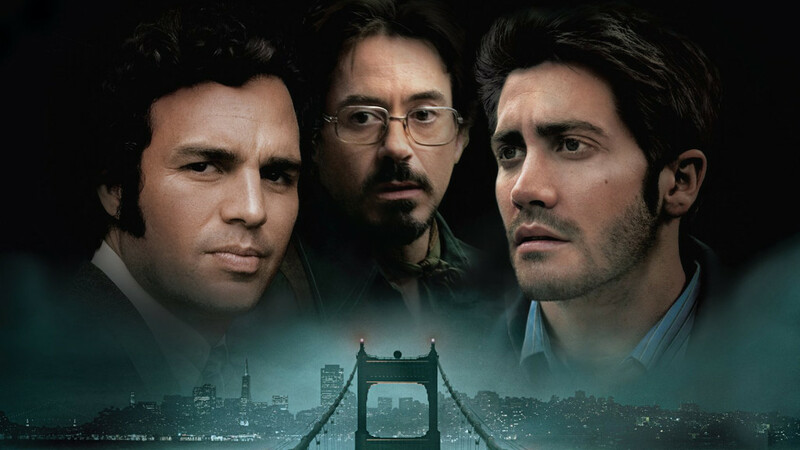 Was this film some sort of a dream sequence? Did Lockhart fall into a coma after his accident, and all that happened after was just his imagination? I mean, for a guy who had been in a horrible accident, he managed to get away with just one broken leg, and no other scratch. The driver as well seemed pretty fine the next time we saw him! The second possibility is that Lockhart really was a patient. There was some ‘Shutter Island’ sort of thing going on here. He actually was delusional and all that he thought he saw was him vividly hallucinating. Another possible explanation, and forgive me for being a bit far-fetched, is that it wasn’t really Lockhart. It was the doctor. We know that Volmer had been using masks to keep his horrid form a secret (perhaps he had some training at The House of Black and White!). It could be a possibility that he acquired Lockhart’s face and became him because he knew Hannah liked him. Lockhart’s appearance was younger and this would make it easier for Volmer to bend Hannah to his will. However, the how’s and the whys of it will lead one to make more assumptions, and before we know it, we’ll be building castles in the air. The next possibility, and what could be more feasible, is that Lockhart now has the key to something that no one else does. We know he is an ambitious man and wants to move up the ladder of success. But once you get the taste of immortality (which he actually did in the bar when he tasted a drop from Hannah’s bottle), everything else seems trivial and inconsequential. Lockhart had been wandering the whole place and would have gotten an idea of how things work, through his extensive exploration. He seems like a smart guy who is a fast learner. Now, he has realised that his bosses have nothing to offer him and that he has something that can change everything for him. He has the miracle child by his side and he will eventually restart what the Baron couldn’t finish. If none of the above, then only one explanation seems plausible. Lockhart had his teeth replaced by fake ones, and one could easily tell because they are nothing close to what natural ones should look like. 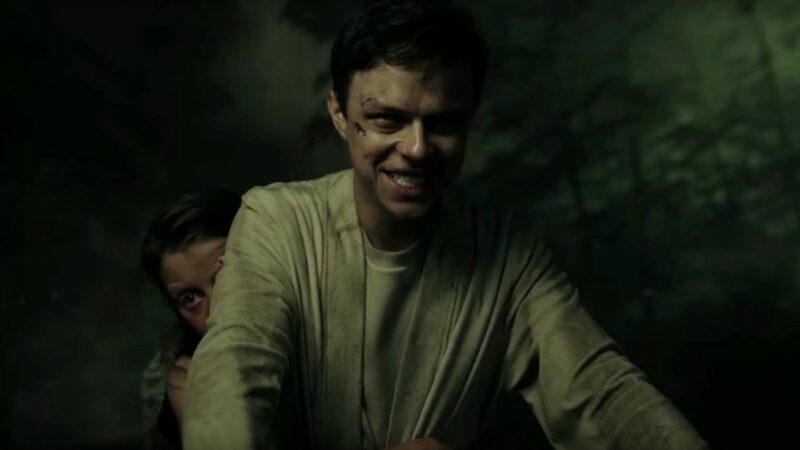 Maybe, he was just simply smiling for having fled the whole torture. It was a moment of happiness and his smile meant nothing sinister. Just because his teeth were fake, it gave the appearance of something evil, because it didn’t look natural. Maybe that’s what it was. 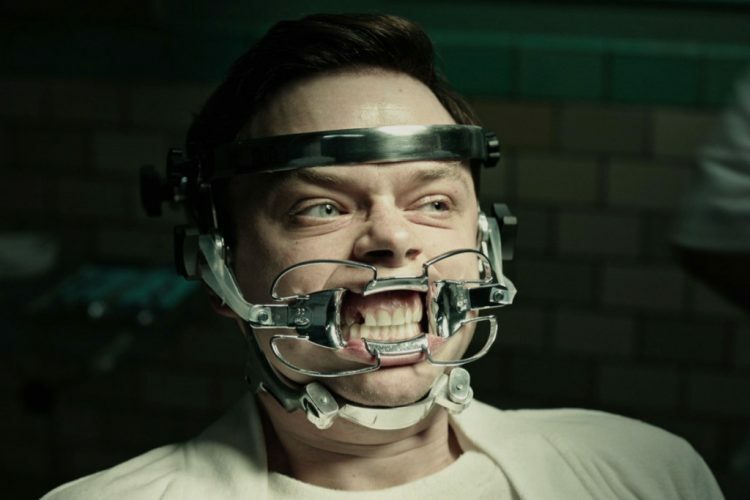 With so many things to deduce from it, ‘A Cure for Wellness’ was actually a potent film. Its full measure wasn’t realised, but that doesn’t mean you can’t like it with its flaws. That’s it, then. Have a great day.